We promise our gentle care to your child! Children are not just small adults. 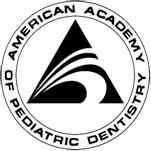 Pediatric dentists know how to examine and treat children in ways that make them comfortable. As pediatric dentists, we focus on preventive care to help each child have a healthy smile that will last a lifetime. In addition, we offer a wide range of treatment options to fit the needs of your child’s teeth, gums, and mouth. We also use specially designed equipment in offices that are arranged and decorated with children in mind. Please visit our office and feel the friendly and welcoming environment for you and your child!